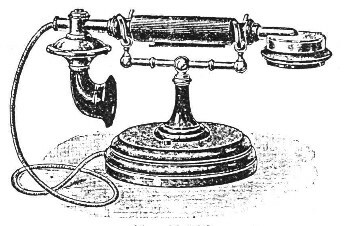 Table Telephone, with Hand Combination, Call Buzzer inside the Base, Flexible Connecting Cord and wall Rosette. For use with Nos. U 95, U 103, U 105, U 115, U 125, or in pairs.